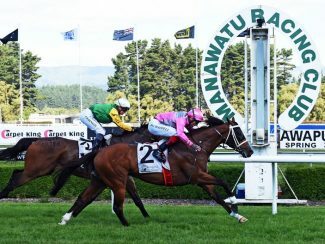 Group One performer Wyndspelle picked up his first win in nearly two years when victorious in the Humphries Construction 1550 at Awapuni on Thursday. The Johno Benner and Hollie Wynyard-trained runner settled midfield under in-form hoop Jason Waddell who improved the Iffraaj entire into clear running down the straight to win by half a length over Beefeater. 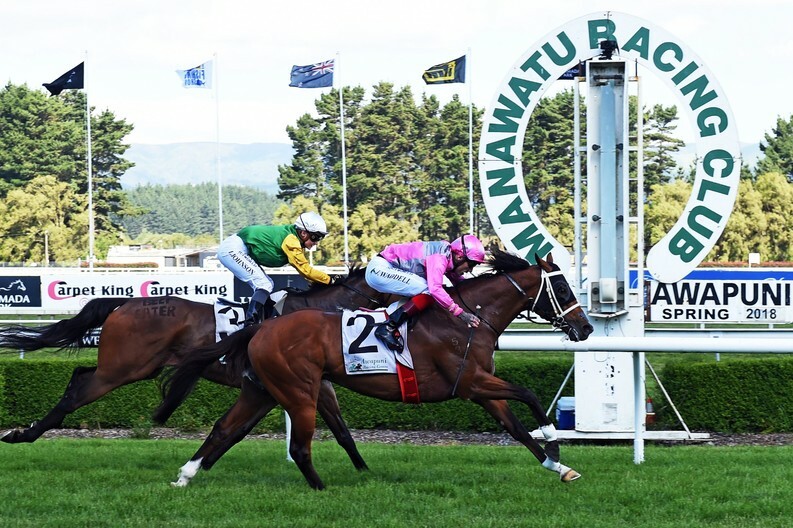 Benner was full of praise for Waddell, who was also aboard Wyndspelle in his last win, the Gr.2 Waikato Guineas (2000m) in February last year. “It’s good having him down here, he’s riding a lot of winners for us. He’s a great judge of form and knows where every horse is going to be,” Benner said. Wyndspelle will now be set for the Gr.1 Captain Cook Stakes (1600m) at Trentham next month where his connections hope he will be met by a firm track. “He probably deserves a big race this horse. He is triple Group One placed, he tries really hard and just needs a hard track,” Benner said. “He’ll head to the Captain Cook. The plan was to bring him here and to build his confidence. He is a horse that has only won two races (previously), but he probably should have won a lot more.